Most sessions take place in Leigh Woods or Wraxall Piece off Beggar Bush Lane. 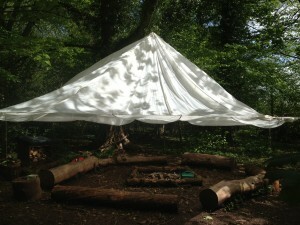 Forest Schools also takes in school grounds or locations convenient to the group. We would be happy to arrange a free site visit and assessment to to check out potential sites and advise on making them Forest School friendly. Whether the weather be hot….